Our Monthly Outfit Box will bring to you a complimenting Tie, Pocket Square & a Dress Shirt that is made to your measurements. Not only will it give you a brand new outfit but we will build on each box every month by matching previous boxes. Join our Newsletter at the top of the page or Contact Us for more info. The check dress shirt pairs well with the grey tie. 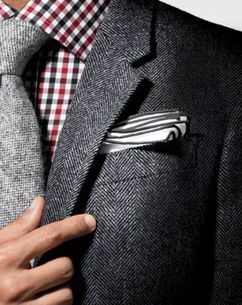 The trim on the pocket square is pulled from the tie to bring the whole look together. This look has the essential MTM (Made-to-Measure) dress shirt & the essential white pocket square which matches the white in the navy polka dot tie. 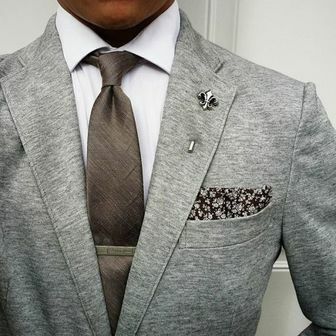 White Pocket Square - Both box 1 & 3 and any future looks. 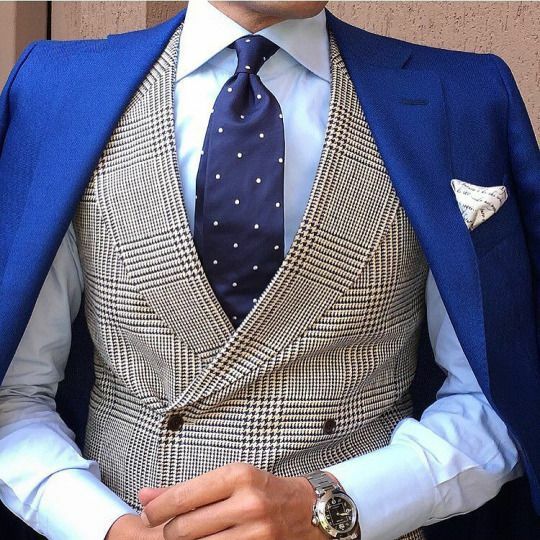 The blue dress shirt is complimented with the darker blue in the tie and the paisley pattern in the pocket square. 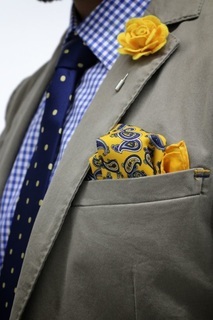 The yellow dots match the yellow in the tie to bring in some color. If the dress shirt does not fit properly let us know right away, we will pay up to $25 for it to be altered. If for any reason it cannot be altered we will replace it for free. We will help you fix the measurement and apply it to the next months box so the problem does not occur again. ​If a tie or pocket square is damaged in any way contact us for a replacement and we will include it in the next month's box at no charge.